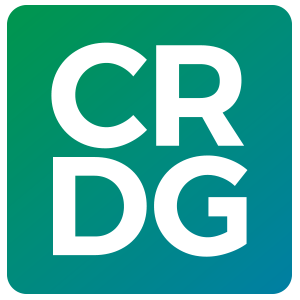 In 2010, CRDG continued its partnership with the Hawai‘i Department of Education (HIDOE) in an effort to improve standards-based education in Hawai‘i. Responding to teachers’ and administrators’ concerns about the Hawai‘i Content and Performance Standards III (HCPS III) and its implementation, HIDOE entered into a multi-year partnership with CRDG in 2008 to reexamine the HCPS III standards and benchmarks and recommend changes to better focus teaching and learning, develop instructional materials selection criteria, and design more effective professional development. A complete review of HCPS III in English language arts, mathematics, science, and social studies was completed in 2009, and a systematic examination of what constitutes effective professional development was undertaken. This year faculty continued developing a professional development design guide and began research and development work on instructional materials selection criteria. The draft guide, Designing Professional Development for Educators, is based on the increasingly rich research on what constitutes effective professional development. The guide is intended for everyone with a role in choosing or designing professional development for educators. Its purpose is to assist everyone in designing and implementing more effective professional development by providing tools to help planners better understand the context in which professional development takes place, set a clear vision for desired outcomes, understand student and teacher data that drive professional development, and evaluate impact. The design framework, adapted from Loucks-Horsley et al. (2010) comprises six boxes—representing the components of the professional development and implementation process—and five circles—representing important inputs into that process. Forward arrows indicating logical, sequential steps in the planning process connect the boxes. 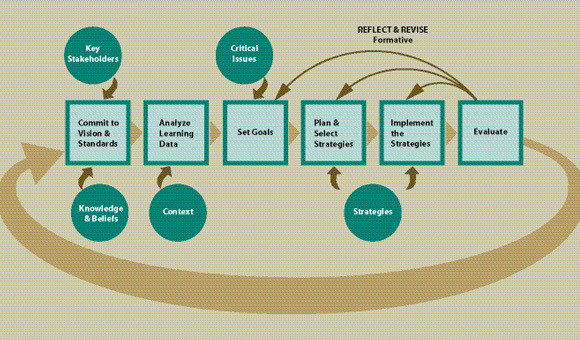 Backward arrows represent the iterative nature of the planning and doing process, including both formative and summative evaluation. The guide describes how to use this framework and provides planning and design tools to improve outcomes. In addition to the research literature review on effective professional development, CRDG staff designed and conducted a principal survey and teacher focus group interviews on perceptions of effective professional development to validate the essential elements included in the guide. Work will continue in 2011 with field testing and further revisions of the innovative guide. For each criterion within the components in Instructional Materials Selection Components and Criteria, definitions or descriptors of quality, checklists, rating scales, and/or statements of adequacy are being developed. An ongoing partnership with the University of Hawai‘i mathematics department has all students in Math 112, a course required of all students in elementary education degree programs, observing elementary mathematics classes in the University Laboratory School. The students start by reviewing information about the research projects being conducted in the classrooms at ULS, then they come into the classroom to observe and reflect in writing on what they have seen. This year about eighty Math 122 university students visited the ULS mathematics classes.